You might know that Barcelona is bounded between the rivers Besòs and Llobregat, the Collserola Mountains and the Mediterranean Sea (and if you didn’t know, I am here to tell you). That does not mean that Barcelonogy always has to remain between these four borders. 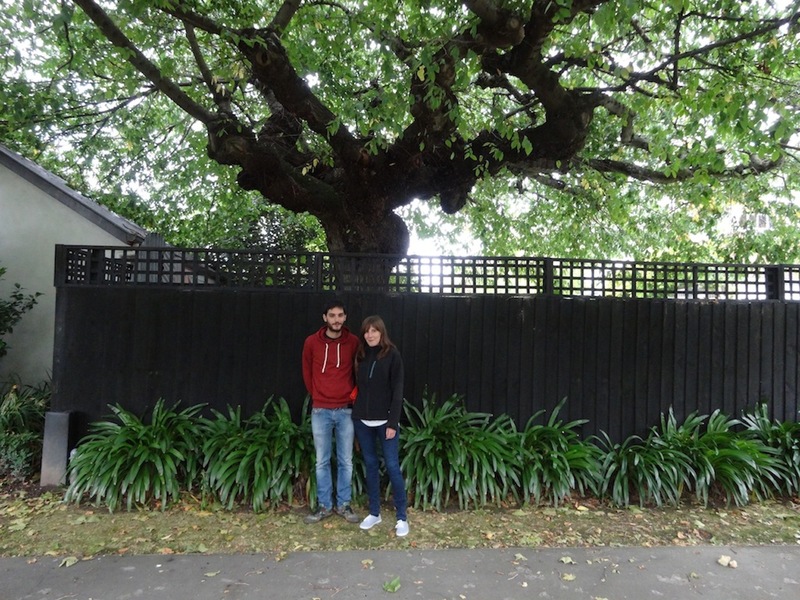 I traveled to New Zealand and I met Marona Rovira Capdevila (Vic, 1987) and Marçal Ricard Viladomat (Vic, 1989): two young Catalans that have been living in Christchurch for almost a year. We talked about how Barcelona is perceived from the other side of the world and what represents to be part of a courageous generation that is characterized by its willingness (and, often, its need) to expand horizons away from home. Marona, you got a research post at the University of Lincoln in Christchurch, New Zealand. 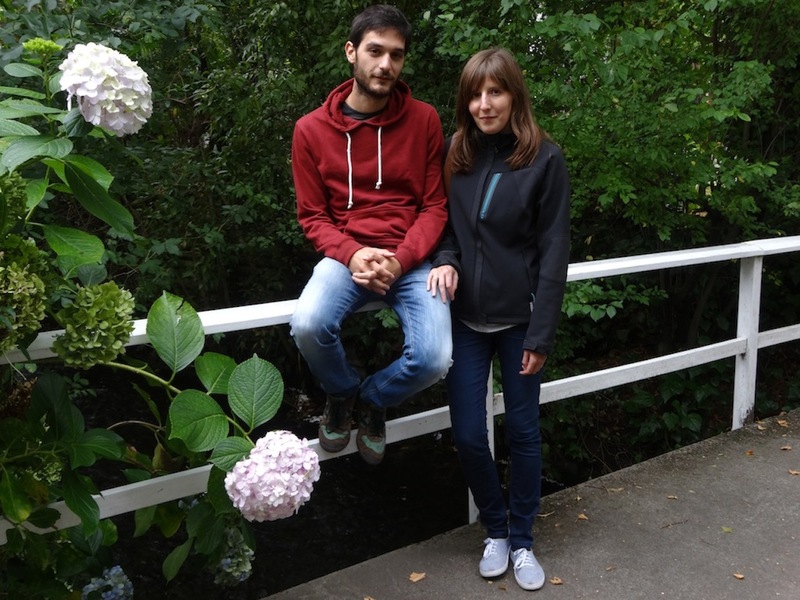 Marona: Yes, I received a grant from the European Union to spend three years in New Zealand doing my PhD. Here, I research in the field of bio protection by doing statistical models. With very large databases, we make predictions about the potential species of invading insects, which of them can arrive and how they can get adapted here. Marçal, what brought you to this far away lands? Marona: No! We decided to come here between the two of us. Marçal: Yes, it’s true. I studied Broadcasting at Ramon Llull University in Barcelona and then I specialized in photography, also in Barcelona. Now in Christchurch, I am working as a lab technician growing a fungus called tricodema, it was discovered recently and it is used to prevent some diseases from the kiwi tree, it is like a natural alternative to fumigation. This job is not related to what I studied, but I’m happy. And are you still working in your photography? Marçal: Yes, I have a blog where I share my photographs of New Zealand. You are both from Vic (a town of 40.000 inhabitants located 60km away from Barcelona). How was your experience of moving from there to Barcelona? … That changes a lot from Vic to Barcelona, but what is really sticking is how dramatically it changes when you come to New Zealand. Marona: Yes, we looked for this information the other day: in New Zealand, the population density is around 15 inhabitants per square kilometer, the average density in Catalonia is over 200! Marçal: Yes, we love Christchurch, but coming from Barcelona, we expected a kind of more European city. The structure here is more similar to the typical city in the U.S.: a residential area separated from the most commercial locations. The pace of life here is also much quieter! Marona: Yes, it’s kind of like being in the Caribbean, but with a much colder climate. Do you think your future has more possibilities in Christchurch rather than around Barcelona? Marçal: Here, even though I have a degree from University, I can manage thanks to a temporary job that does not demand great skills and is not related to what I do best. Sure, maybe this is only the beginning of a phase that still can evolve a lot. You never know what the future can bring you… Who could have said not so long ago that now we would be living in New Zealand? Marona: When you move to a country with less unemployment than Spain, it is always easy to think that you can make better profits out of your skills and degrees, but it is not so simple… It is also normal for people here to prioritize those from their own nationality, it is a bit discriminatory, but I can understand it because it is also a positive discrimination for them. Marçal: Yes, basically it is just about making contacts; both here and there, everything works with recommendations, even in order to find a flat. This requires some time. It’s easy to romanticize the life you can live in another country, afterwards, when you actually are there… Well, you keep progressing, only that at a slower paste that you might have expected. Before coming to New Zealand, did you suffer a lot from the crisis in Barcelona? Marona: I have a relatively optimistic view of the situation. It is true that when you finish studying, you go through a stage of rupture and if you cannot find opportunities, you suffer a lot. But I believe in the culture of effort and in knowing that perhaps you might not immediately be able to work in something related to what interests you the most, but in the meantime, you can find other things that will certainly enrich you as a person. It is all about insisting and keeping a positive attitude. Marçal: The situation is not easy, but we must not always fall in this victim like discourse. There is always more than one option to pursue. Marona: Well, in fact I know many people who studied environmental science with me who have actually chosen a lifestyle based in restoring an abandoned farmhouse and creating a community in the midst of nature: they live on temporary odd jobs, but they eat everything they grow themselves and they are quite happy. I think the problem is that we have grown up with parameters that do not correspond to the current reality. The model of an adult person that our parents have passed to us is no longer viable. We were promised that if we studied in college and graduated in some superior studies, a good future would be guaranteed for us: we would be able to buy a good house, to have a couple of children, a dog, a car… And a wonderful mortgage too. But there are no resources or resources are not well distributed in a way that allows everyone to follow this scheme. It seems as if these aspirations were mandatory, although not everyone has a personality that fits completely in them. Marona: Of course, there are always various options, but basically it is all about changing your mentality and your priorities. If I have to rent my whole life, it will be fine. Or if I have to change jobs more often, ok, I will go through more instability, but I will also live a wider range of experiences. Marçal: Yes, we have been taught that once we got a job, that was it. The idea of ‘placing’ yourself, like placing an object in a glass cabinet and forgetting about its existence. Marona: Exactly. In Vic, I worked in an ice cream parlor for 7 years during the summer or at the weekends. I knew that it was not the job of my life, but I was not going to despise it. You should not feel degraded to do a job that is below your academic qualifications because after all, it is only a momentary role that doesn’t determine the rest of your life – unless you want it to. Click here to view Marçal’s photography. Segurament ja saps que Barcelona és una ciutat acotada entre els rius Besòs i Llobregat, la serra de Collserola i la mar Mediterrània. Però això no vol dir que Barcelonogy hagi de quedar-se entre aquestes quatre fronteres. Viatjo fins a Nova Zelanda i em trobo amb la Marona Rovira Capdevila (Vic, 1987) i el Marçal Ricard Viladomat (Vic, 1989): dos joves catalans que viuen des de fa gairebé un any a Christchurch. 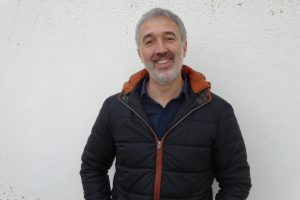 Conversem sobre com es percep Barcelona des de l’altra punta del món i sobre el que representa formar part d’una generació de valents que es caracteritza per la seva voluntat (i, molt sovint, la seva necessitat) d’ampliar horitzons lluny de casa. Marona, has aconseguit una plaça de recerca a la Universitat de Lincoln de Christchurch, a Nova Zelanda. Marona: Sí, he rebut una beca de la Unió Europea per passar tres anys a Nova Zelanda fent el doctorat. Aquí, investigo en el camp de la bioprotecció fent models estadístics. Amb bases de dades molt grans, fem prediccions sobre d’on poden venir les futures espècies invasores d’insectes, quines poden arribar i com es poden adaptar aquí. Marona: Primer vaig fer ciències ambientals a Girona i un màster en ecologia a Barcelona. Després vaig tornar a treballar a la Universitat de Girona per investigar ecotoxicologia en un laboratori, fins que va sorgir la possibilitat de venir a Nova Zelanda. Marçal, què et va portar fins a aquestes terres llunyanes? Marona: No! Vam decidir venir aquí entre tots dos. Marçal: Sí, és cert. Vaig estudiar comunicació audiovisual a la Universitat Ramon Llull de Barcelona i després em vaig especialitzar en fotografia a l’Escola Industrial, també a Barcelona. Ara, a Christchurch, treballo de tècnic de laboratori fent créixer un fong que es diu Trichoderma. Serveix per evitar algunes malalties de l’arbre del kiwi, és una alternativa natural a una fumigació que s’ha descobert fa poc. No té res a veure amb el que vaig estudiar, però estic content. I també segueixes amb la fotografia? Marçal: Sí, tinc un blog on comparteixo les meves fotografies de Nova Zelanda. Tots dos sou de Vic. Com vau viure el vostre trasllat a Barcelona? 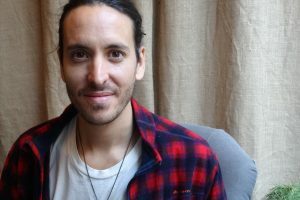 Marona: Justament no vaig voler anar a estudiar allà perquè sempre he viscut al camp i vaig pensar que la gran ciutat seria un contrast massa gran, així que vaig anar fent una transició: primer vaig anar de Vic a Girona, i després, a Barcelona: em va encantar. Potser també perquè, malgrat que el Marçal i jo ens vam conèixer a Vic, vam consolidar la nostra relació a Barcelona. …Que canvia radicalment de Vic a Barcelona, però el que sí que sobta molt és el canvi que trobes quan véns a Christchurch. Marona: Sí, ho vam estar mirant: a Nova Zelanda la densitat de població és d’uns quinze habitants per quilòmetre quadrat, i la mitjana de Catalunya passa dels dos- cents! Marçal: Sí, ens agrada molt Christchurch, però venint de Barcelona, ens esperàvem un tipus de ciutat més europea. L’estructura que hi ha aquí és més similar a l’americana: una zona residencial i una zona comercial. El ritme de vida aquí també és molt més tranquil! Marona: Sí, és com ser al Carib, però amb molt més fred. Creieu que a Nova Zelanda teniu més possibilitats de futur que a Barcelona? 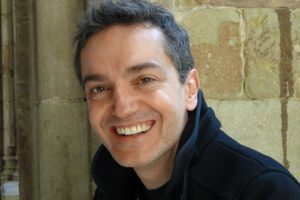 Marçal: Aquí, malgrat que tinc uns estudis universitaris, vaig tirant gràcies a una feina temporal que no demana grans qualificacions i que no està relacionada amb el que millor sé fer. És clar que potser només és el principi d’una etapa que pot evolucionar molt. No se sap mai el que et pot portar el futur… Qui ens havia de dir no fa gaire temps, que ara estaríem vivint a Nova Zelanda? Marona: Quan marxes a un altre país que té molt menys nivell d’atur que l’Estat espanyol, sempre és fàcil pensar que podràs treure rendiment dels estudis, però no és tan senzill… També és normal que la gent prioritzi els de la seva pròpia nacionalitat. És una mica discriminatori, però ho puc entendre perquè no deixa de ser una discriminació positiva per a ells. Marçal: Sí, en el fons només es tracta de fer més contactes, perquè tant aquí com allà tot funciona per recomanacions, fins i tot trobar pis. Tot això requereix un cert temps. És fàcil idealitzar la vida que pots fer en un altre país i després, quan hi ets… doncs vas fent, però a poc a poc. Abans de venir a Nova Zelanda patíeu molt la crisi a Barcelona? Marona: Jo tinc una visió relativament optimista d’aquesta situació. És cert que quan acabes els estudis hi ha una etapa de trencament vital, i quan no trobes oportunitats pateixes molt. Però crec molt en la cultura de l’esforç, i en saber que potser no podràs treballar de seguida en alguna cosa relacionada amb el que més t’interessa, però mentrestant pots buscar altres coses que segur que igualment et podran enriquir com a persona. És una qüestió d’insistir i de ser positiu. Marçal: La situació no està gens fàcil, però tampoc no cal caure sempre en el mateix discurs victimista. Sempre hi ha més d’una opció per seguir. Marona: Bé, de fet conec molta gent que va estudiar ciències ambientals amb mi que han optat per l’estil de vida de restaurar una masia abandonada i crear una comunitat al mig de la natura: van fent feines temporals, però mengen tot el que ells cultiven i són ben feliços. Crec que el problema és que hem crescut amb uns paràmetres que no es corresponen amb la realitat actual. 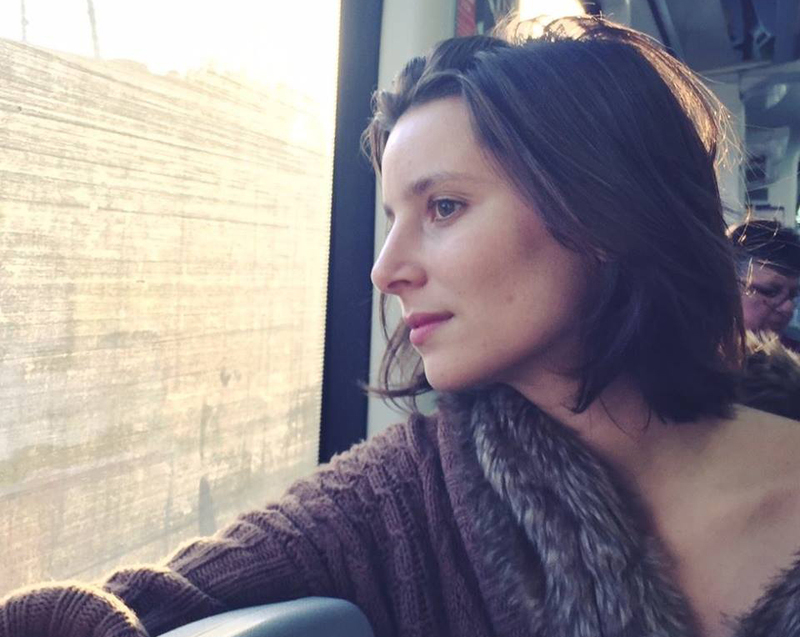 El model de persona adulta que ens han transmès els nostres pares ja no és viable. Ens van prometre que si anàvem a la universitat i ens trèiem una carrera, tindríem garantit un bon futur que ens permetria comprar una bona casa, tenir dos fills, un gos, un cotxe… i una magnífica hipoteca. Però no hi ha recursos, o els recursos no estan prou repartits, com perquè tothom segueixi aquests esquemes. Sembla com si aquestes fossin les aspiracions obligatòries, malgrat que no tothom té una personalitat que pugui adaptar-se completament a aquest model. Marona: És clar, hi ha moltes opcions, però en general caldria fer un canvi de mentalitat, i si s’ha de viure de lloguer tota la vida, no passa res. O si haig d’anar canviant de feina, sí que tindré més inestabilitat, però també més experiències. Marçal: Sí, ens han inculcat molt la idea que una vegada s’ha trobat feina, ja està. La idea de «col·locar-se», com qui col·loca un objecte en una vitrina i ja s’oblida de la seva existència. Marona: Exacte. A Vic vaig treballar durant set anys, a l’estiu o els caps de setmana, en una gelateria. Ja sabia que allò no era la feina de la meva vida, però tampoc no era qüestió de posar mala cara… No t’has de sentir degradat per fer una feina que està per sota de les teves qualificacions acadèmiques, perquè al capdavall només és un paper momentani que no determinarà la resta de la teva vida, si no vols que ho faci. 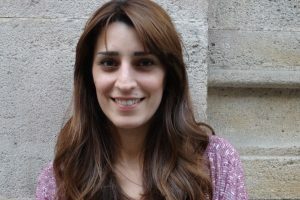 Marona: First I studied Environmental Science in the University of Girona and then a Masters in Ecology in Barcelona. After that, I returned to work at the University of Girona doing research in an ecotoxicology laboratory until the opportunity to come to New Zealand arose. Feu click aquí per veure les fotografies d’en Marçal.